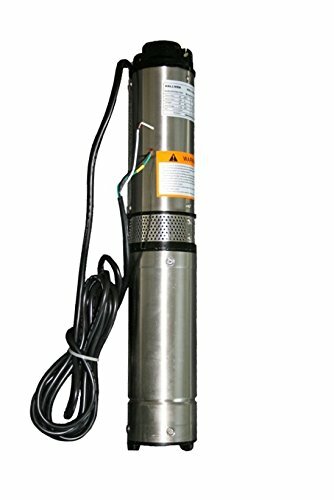 Hallmark Industries MA0343X-4A Deep Well Submersible Pump, 1/2 hp, 220V, 60 Hz, 25 GPM, 150' Head, Stainless Steel, 4"
Product prices and availability are accurate as of 2019-03-31 13:47:01 EDT and are subject to change. Any price and availability information displayed on http://www.amazon.com/ at the time of purchase will apply to the purchase of this product. 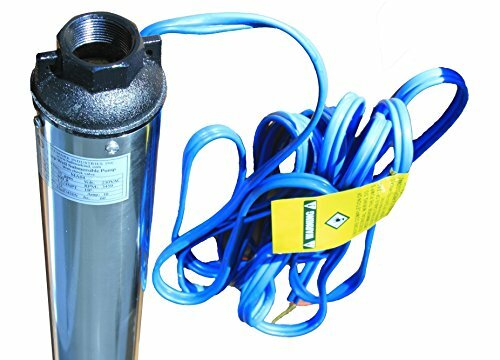 Deep Well Submersible Pump, 1/2HP, 220V/60HZ/1PH, 25 GPM Max, 150 Feet MAX, S.S. SHELL C.I Intake, 1¼” NPT discharge. Brand new product in the box! NOT 'Manufacturer Refurbished'. We are based in the U.S., customer services, tech support & warranty are handled in the U.S.
* Patented impeller provides heavy duty higher performance and longer life than most other well pumps. * Industrial grade heavy duty, also good for home usage. * Built in 1/2 HP capacitor start, and thermal protection switch. For longer life and powerful start. * Check valve is removed for easy winterizing operation. * This is a 2 wire pump with 3-Wire (2 wires + ground wire). * Submersible design eliminates the need for priming and creates quiet operation. * High efficiency and hermetically sealed motor has thermal protection prevents overheating, uses less energy. * 150 Max head is for open water tank. The max head will be reduced in pressure tanks. Read the Selection Guide for details! * Installation manual, and tape kit are included. * Free technical support available during installation. Use business address for fast shipping.